MTG kicks off its “New Play Incubator” project with a staged reading of this play by Madison area Playwright Russell Tomar. 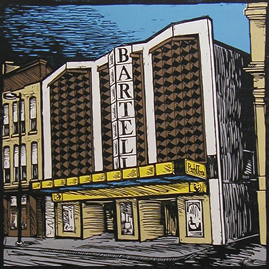 Directed by Jason Compton at the Bartell Theatre. 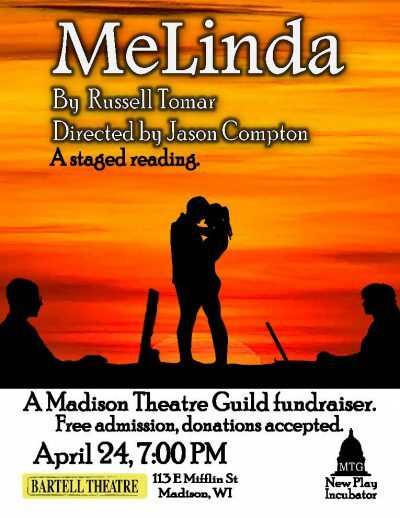 “MeLinda” is a bittersweet reminder of our life options and choices, and their unpredictable impacts as we strive to achieve lives well lived. In their youth, Frank and MeLinda meet, connect, but find that circumstances and their own decisions compel them to separate. They lose touch with each other. Many years later, they are able to reconnect via Facebook where they relive their playful past, reveal their stoic present, and reconsider their uncertain futures. Suddenly it all changes as they ponder the wisdom of their youthful decisions. Free admission. Suggested donation to Madison Theatre Guild.